Enjoy a special treat in Rüdesheim. Departures November 26 and December 10 are offered as exclusive Festive Time Cruises, including special features and visits to Christmas markets at no additional cost. Experience the holiday season the European way! Enjoy the jolly atmosphere on your festively decorated ship as you delight in the sights, smells, and tastes of local customs and traditions. The following charges are not included in the land/cruise vacation price unless otherwise noted: airfare to and from the start of your vacation; intra-vacation air, unless specified in the itinerary; airline baggage fees including checked and/or excess baggage fees; Federal inspection fees for the Federal U.S. Customs and Immigrations; International Air Transportation tax; agricultural tax; other per person taxes imposed by government entities; airport taxes and fees, including the September 11th Security fee up to $10 per person, passenger facility charges up to $18 per person, Federal domestic flight segment fees up to $3.70 per segment, and U.S. and international arrival and departure and other government-imposed added by the airline and applicable at time of booking; port taxes; passports; visas and vaccinations; tips to your Cruise Director, Local Host, driver, Local Guides, and/or ship’s crew; gratuities on ferries, trains, and cruise ships; laundry; telephone; minibar; alcohol, beverages, and food outside of the contracted Avalon menu as presented at a hotel or restaurant or onboard your vessel (these extra items will be billed to you before leaving the hotel, ship, or restaurant); airport transfers on non-qualifying flights; optional excursions; additional activities and excursions purchased online; porterage at airports and train stations; Travel Protection; and all other items of a personal nature. Our volume buying power saves you money. We may be able to provide you with flight arrangements from your gateway city. 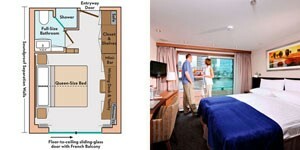 Avalon Waterways offers 2 air options: Flex Air and Instant Purchase Air. Flex Air is available for Europe vacations with return air outside of 331 days under the Early Airfare Price Guarantee. Early Airfare Price Guarantee locks in a price that is guaranteed not to increase. Flight schedules are unavailable with Early Airfare. Schedules will be confirmed when your air departure date is within 331 days to departure. 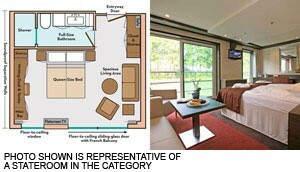 At that time the best air price will be utilized and a new invoice with the air cost and confirmed schedule will be sent. The identity of the carrier, which may include the carrier’s codeshare partner, will be assigned and disclosed at this time. If the guaranteed price is the lowest, the schedule with the lowest fare per contract classes of service will be booked. Any voluntary change to the confirmed flights negates the guaranteed price and is subject to air pricing at the time of the change. For air departure dates within 331 days, you’ll be offered a choice of carriers and flight schedules as well as price points to choose from when selecting your flights. Your schedule will be provided to you at the time of booking (schedules are subject to change by carriers). Flex Air allows flexibility if you want to make changes to your vacation schedule. Instant Purchase Air may offer additional airline options but has more restrictions. Some vacations may only offer one Air type option. Guaranteed air-inclusive prices: air is only available to passengers traveling from the United States and only available when booked in conjunction with a land vacation. An additional $300 per person non-refundable air deposit is required for Flex Air booked in conjunction with any land vacation (i.e. air-inclusive vacation). 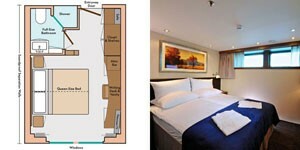 Air can only be booked by Avalon Waterways in conjunction with a vacation package. Instant Purchase Air requires air payment in full at time of booking (i.e. air-inclusive vacation) plus non-refundable service fee ($30 per person for North America, $50 per person for International air). Once booked, Instant Purchase Air is non-refundable, and non-changeable. Some vacations may only offer one Air type option. Early Airfare Price Guarantee is not available with Instant Purchase Air. However, once your airfare is confirmed and Avalon Waterways has received your full land and air deposit or full air payment as noted above, your air-inclusive vacation price is guaranteed.